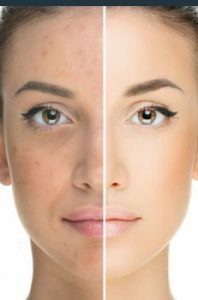 Photo facials treat sun damaged skin in a fast, effective, and simple procedure that lightens pigmentation caused by sun exposure and also rejuvenates skin by improving tone and texture. Small facial veins can also be targeted and treated during photo facial treatments. Generally four treatments are required for best results spaced 3-4 weeks apart. Multiple micro beams of laser energy and radio frequency are delivered into the skin to stimulate collagen and elastin. Combines Fotofacial, skin tightening and fractional for wrinkles. Our lasers will treat a variety of vascular problems including Rosacea, facial veins, and spider veins on the legs and ankles. Superfractor uses radio frequency for skin tags, grey hair, milia, overactive sebaceous gland, spider veins and dark spots. Super Fracotor is a highly effective, safe, non-invasive treatment for spider veins with virtually no side effects. The result of Super Fractor treatment is amazing and long lasting. Spider veins can deter from the skin’s healthy look and appearance. The occurrence of these veins cannot be controlled but fortunately, they can be treated by a proven method of treatment known as Super Fractor. Super Fractor is very popular because it is safe and effective for not only spider veins, but also other skin conditions such as “cherry spots” and skin tags.